Induflex are specialists in laser cutting with many years experience and Northern Europe's largest department for laser cutting of plastics. Typical tasks are signs, letters, brochure holders, sales displays, overlays, and machine parts. It's prototypes, single pieces, series and in-store marketing to stores worldwide. 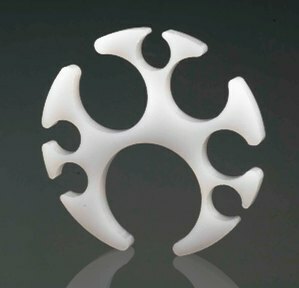 Which plastics can be laser cut? Acrylic is ranked first when it comes to the quantities that is laser cut. Partly because it gives extremely good result, partly because acrylic is used in so many areas. 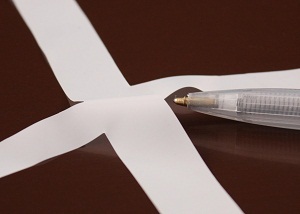 Foils in many different materials are also suitable, while one often must compromise on technical plastic materials. 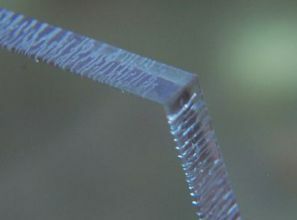 There exist and are constantly developed new materials that react differently to laser cutting, so it is impossible to keep records and predict the outcome in advance. Often it must come to a test. 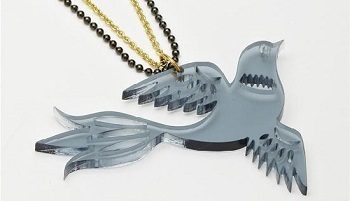 Acrylic can be laser cut in thicknesses up to 25 mm. Clear acrylic parts get edges that is completely transparent and they rarely required more machining. Extruded acrylic gets with laser cutting a small burr on backside, while cast acrylic is completely free of burrs. Colored acrylics can in most cases by laser cut with excellent result. Tolerances for laser cutting of plexiglas is closely related to sheet thickness, because laser cutting is not completely vertical. 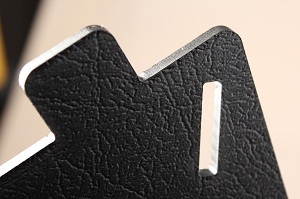 Sheets of 1 mm thickness can be cut with tolerances of +/- 0.1 mm. For an 8 mm sheet the tolerance is +/-0.25 mm and +/-0.7 mm for a 20 mm. 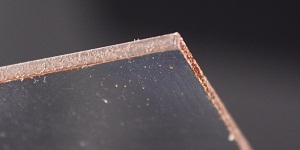 Foils, for example overlays, spacers, streamers and insulators is another area where laser cutting yield good results. The alternative to laser cutting is either punching or cutting with plotter knife. Both methods are generally faster, but leaves dents along the edges and holes. They are also limited by the hole spacing and mesh. When using laser cutting there is virtually no restrictions on the geometry and no dents. It is possible to laser cut through several layers of different materials. Eg. PC or PS with adhesive, but also Mylar, polyester, PETG, axpet, vivak works well. The foils/sheets should preferably not exceed 1 mm in thickness. The print itself is not significantly influenced by the laser cutting . 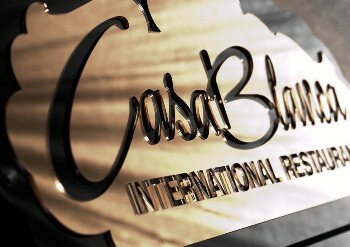 It is possible to laser cut directly on top of print without the color becomes discolored, cracked or otherwise damaged. It is usually a good idea to print on the sheets before laser cutting and not the other way around. This way one can avoid problems with the combination of the chemicals from the ink and the tensions from the laser cutting. Usely the acrylic sheets must be laser cut precisely in relation to the print which can be located different or be stretched from sheet to sheet. 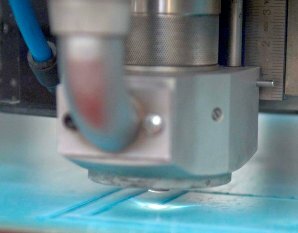 Induflex has therefore developed a vision system that automatically move the intersection so that the laser cutting is correct relative to the print. Laser cut overlays of 0.5 mm PC. The cut is positioned precisely relative to the printing by using a vision system. 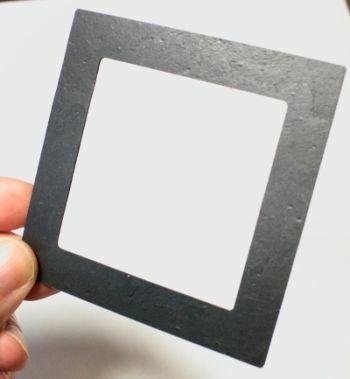 Many technical plastic materials can be successfully laser cut, if sheets thickness does not exceed 1 mm. For thicker sheets there may be problems with quality and tolerances, because the plastic parts melts along the edges. At the same time fumes require special precautions regarding exhaustion and filters. Yet laser cutting of technical plastics is often selected due to items geometry or to keep the price down. Induflex no longer laser cut technically plastic because similar quality can be obtained either by milling or water jet cutting. 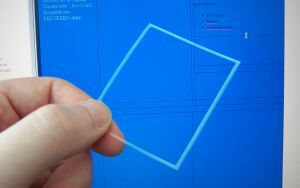 Laser cut 3 mm polycarbonate (pc).Polycarbonate is in every way unsuitable for laser cutting. The surface turns brown and produce toxic fumes. Laser cutting of straining is very suitable. This can be done very quickly and accurately. In particular when cutting from rolls. As with laser cutting of fabric the edge will not unravel. It is almost like welded together. We also have good experience with a polaroid filter, various types of foam and veneer. The strong Tensions in the plastic (acrylic) that laser cutting leaves are almost like a must hard shell and a problem if one provoke the surface with solvents or heat. Otherwise they will disappear slowly over time. The problem can be solved by slowly trigger the tensions in ovens. A repeated slow heating and cooling, removes the tension. It is a process which takes hours, but are the laser cut items to be glued or printed on, it is a necessity. Tensions in plastic causes problems if not handled properly. Here 3 mm laser cut clear acrylic. Immediately after laser cutting dipped in acetone. Related results can be seen with alcohol and benzine. Induflex laser cutter primarily acrylic, which is not harmful to the environment. 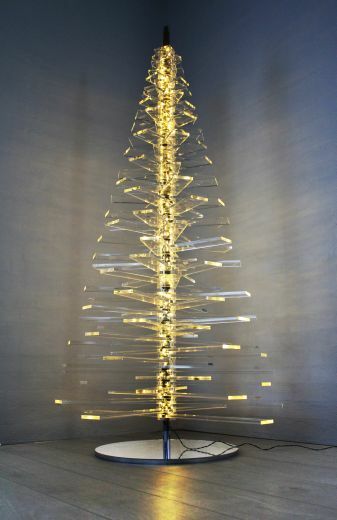 However, fumes from laser cut acrylic has a distinctive smell that can cause discomfort in the surroundings. A powerful exhaust and a high chimney is the most common solution to the problem (much more about Acrylic and the environment ). Laser cutting of plastic is something relatively new, having only been around since the mid 90s. Until then, plastic parts was fabricated by machining. Manufacturers of laser machines had until then focused on lasers for cutting metal. But these machines are not well suited for plastics because they typically work with an effect on 1500-3000 watts, often supplemented with a cutting gas(oxygen, nitrogen, argon ..). Plastics is Laser cut with a power of 100-500w and without cutting gas. A 3000 watt laser can be reduced to 400 watts, but the result is not as good as with a dedicated 400 watt laser. Moreover, laser cutting of plastic require very powerful exhaustion, filtration of fumes and special tables of plastic as a base for the acrylic sheets. All matters missing from the metal lasers. If laser cutting plastic parts on a table of metal the laser beam will reflect from the table and make marks on the underside of the plastic parts. 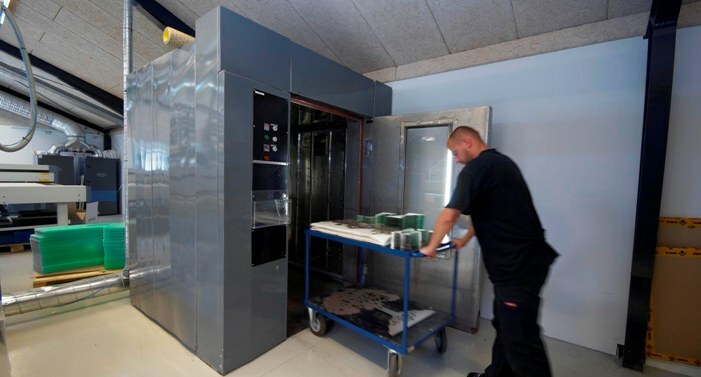 Lacking exhaustion and filters can ignite the fumes or damage parts and machine. 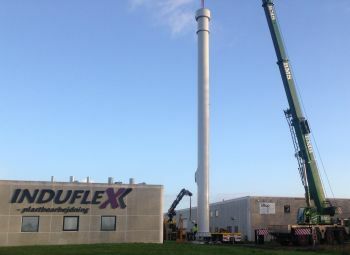 Induflex was in 1998 among the first who started laser cutting of plastics in larger scale. Laser cut 20mm clear acrylic.